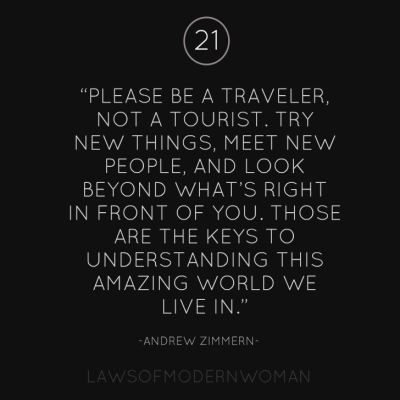 Home » Blog » Are You A Traveler or a Tourist? I recently stumbled upon this quote on Pinterest and was immediately stopped in my tracks. This is my mantra and wish for my life. It’s too good not to share! Let me know what you think by popping a comment in the box below! Or better yet, share this via Twitter with anyone you think might need the reminder! Join me on Twitter at @henleyco. Cheers to all the world travelers!